This symbol was subject to a shift in meaning. In ancient Greece it was standing for a sphere or globe. The recent meaning in astronomy is the Earth. In the Bronze Age it was associated with the sun. Hence its alternative name: Sun wheel. The symbol can be found in several rock art sites in Europe and other parts of the world. 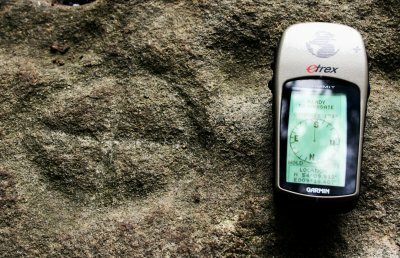 Crossed circles scratched on stones have been reported from Palaeolithic cave sites in the Pyrenees. The symbol is also been reported from native rock art in the USA. A similar symbol used by native Americans is the Medicine wheel. Many examples of crossed circles can be found in Germany: well-known examples are carvings on the cup-mark-stone from Bunsoh (Schalenstein Bunsoh) and from Klein Meinsdorf, near Plön (Schalenstein Klein Meinsdorf). Both show the circled cross together with other symbols, like cup marks, hand and foot symbols. Other examples were found in Beldorf, Kreis Rendsburg-Eckernförde and Oelixdorf, Kreis Steinburg. Although the Bunsoh stone is a capstone of a chambered tomb the carvings are usually dated to be from the Bronze Age. 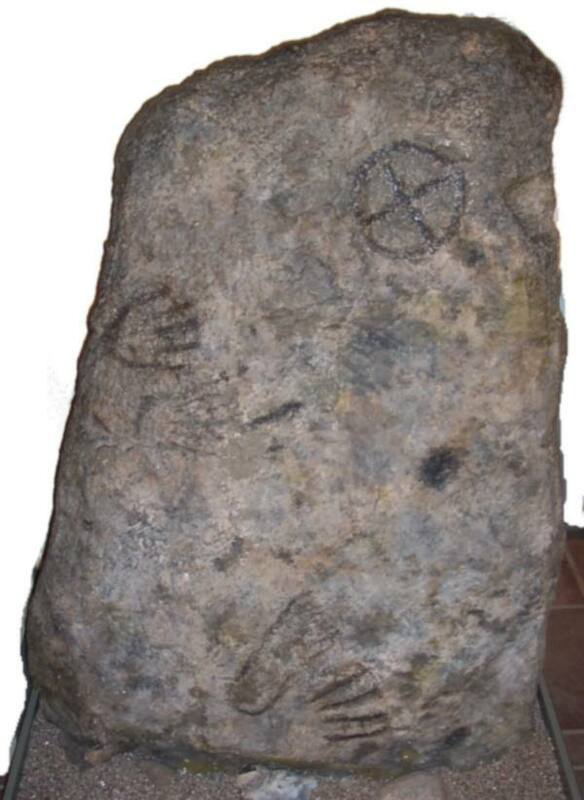 Four crossed circle symbols are found on capstone of a megalithic tomb in Blengow, Kreis Bad Doberan. The symbol appears in rock art in Scandinavia, e.g. Kalleby-Longemyr, Bohuslän/Sweden, 1000-750 BC (see ). In Britain the symbol is found as part of more complex grammar of rock-art . Examples are: The Cochno Stone, Rowtor Rocks, Wolfhill (Tayside), Duncrocroisk (Fife), Tofthills (Grampian) and Aspatria (Cumbria). An exception might be the Culbone Stone, Porlock (Somerset) . The stone shows a single wheeled croos, but it is not clear whether the inscription is from Bronze age or from medieval times. The ancient Egyptians thought that the sun is flying through the sky. After the invention of the wheel (ca. 3500 BC, spoke wheel ca. 2000 BC) the sun was thought of by many cultures as a wheel moving through the sky. In Bronze Age Europe the symbol has been associated with the sun therefore the name ‘sun wheel’. Another interpretation is that the circle stands for a cycle of the year. The people in ancient Mesopotamia knew a lot about astronomy and dividing a year into four intervals at the time of the sun main constellations (solstices and equinoxes) gives four seasons, which are still in use today. The Bunsoh circled cross is aligned quite accurately towards the cardinal points like a compass. The crossed wheel could have been also stand for the four seasons. G. Nash, “A scattering of images: the rock-art of southern britain.” , 2007.